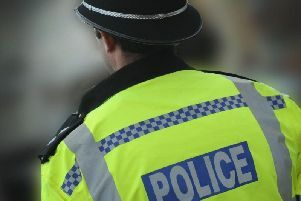 Crawley Police are appealing for witnesses after a 10-year-old boy was ‘grabbed’ by a masked figure near the Mill Pond yesterday afternoon. Officers said the boy was cycling on the Gossops Green side, near the Trent Close area of the wood when he felt someone grab his shoulder. The boy managed to run away and alert his mum following the incident at around 5.20pm, police added. Detectives added the boy had been riding his bike away from the bridge and towards Trent Close when he saw the figure, who he described as being around 6” tall, wearing black gloves and a black mask or balaclava. It is not clear whether the person was a man or woman. Detective Sergeant Karrie Bohanna said the boy did exactly the right thing by reporting the incident immediately. She said: “The Mill Pond area was very busy at this time and the suspect would have had to pass a lot of people. “We have had no further calls about other children being approached but we are keen to hear from anyone who might have seen something suspicious. “Were you in the area between 5pm and 5.30pm and saw someone wearing a black balaclava and black clothes? Anyone with information is asked to contact police on 101@sussex.pnn.police.uk quoting serial 1120 pf 04/09.